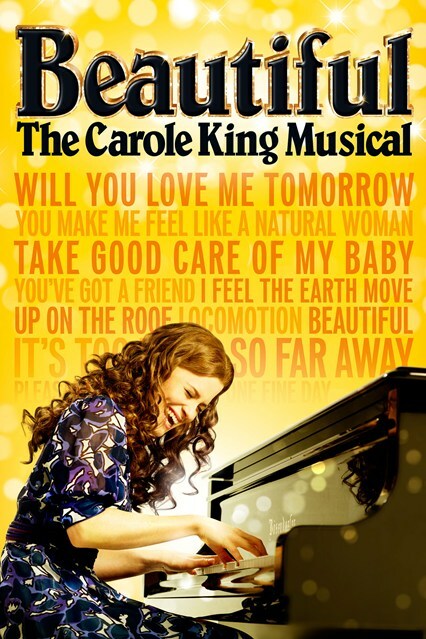 ‘Beautiful The Carole King Musical’ is currently playing at The Aldwych Theatre, London. 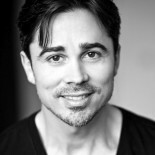 Directed by Marc Bruni and with a book by Douglas McGrath, this is the ultimate ‘Jukebox Musical’ because it uses Carole King’s story, while weaving in performances of her hits, with the result that you feel like you have seen a great concert, while also getting under the skin of one of pop music’s most beloved icons. Derek Maclane has designed an ingenious set that simply shines. It serves both the scenes and the concert performances perfectly. Everything about this show flows, the music, the scene changes, the performances and love for Carole King and her music. I particularly liked the way the simple upright piano, which is such a central piece to the drama, floated around the stage as if by magic. Everything about this sparkling design allowed for effortless transition between onstage action and the behind the scenes drama. Katie Brayben plays Carole King better than any director could ever possibly expect, her charm and exceptional voice enveloping this production. 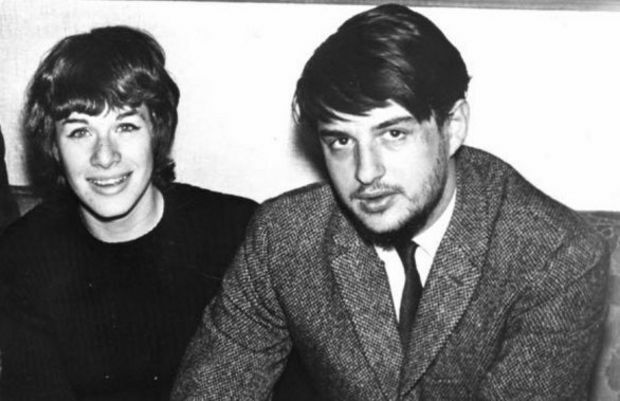 Alan Morissey plays Gerry Goffin, Carole King’s writing partner and husband, with Lorna Want and Ian McIntosh as their fellow songwriting buddies Cynthia Weil and Barry Mann. The great charm of the book is that it centres on the relationship and music of all four characters; exceptionally talented songwriters who clearly loved one another, while battling for hit after hit working side by side in Manhattan at 1650 Broadway. The performances are so strong that the audience gives into the sheer joy of seeing Katie Brayden sit down at the piano and play, as if it was Carole King herself. 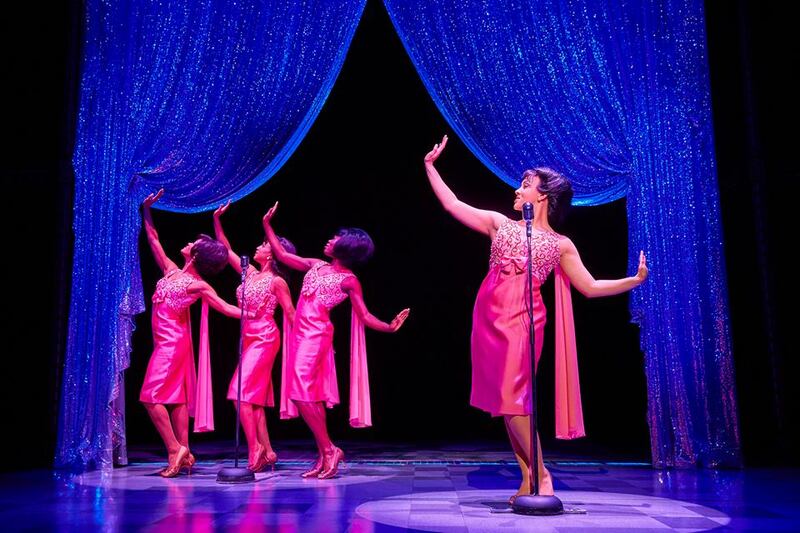 ‘Beautiful The Carole King Musical’ had a relatively short gestation period. 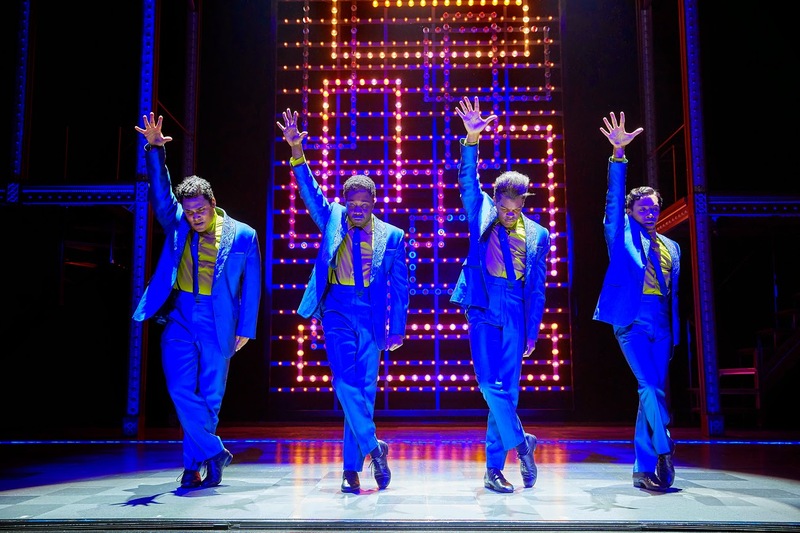 It currently plays on Broadway after an initial try out in San Francisco, which was staged in November 2013. 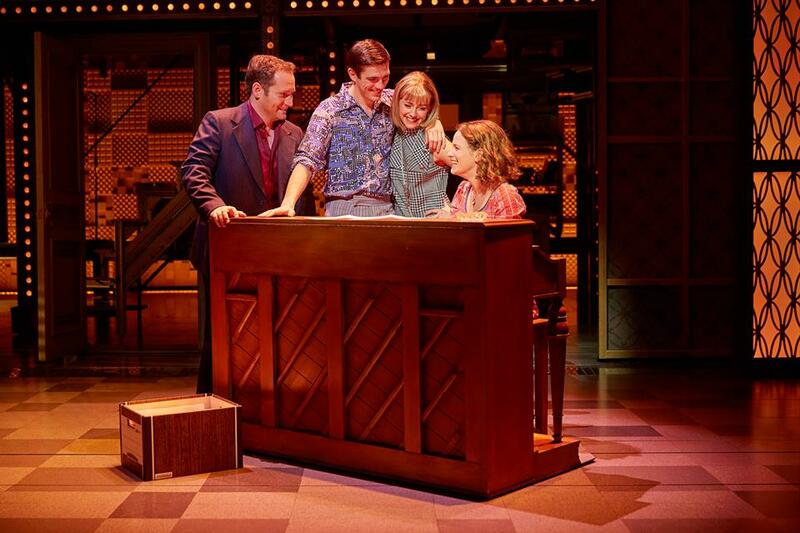 But the real star of ‘Beautiful The Carole King Musical’ is the music and the incredible artistry of Carole King and Gerry Goffin, and also Cynthia Weil and Gerry Mann. And in ‘Beautiful The Carole King Musical’ these songs come to life in wonderful recreations by an ensemble truly committed to bringing these moments of pop history to life. Special mention must go to Oliver Lidert. His version of ‘On Broadway’ as one of The Drifters was a real musical high point of the show for me. 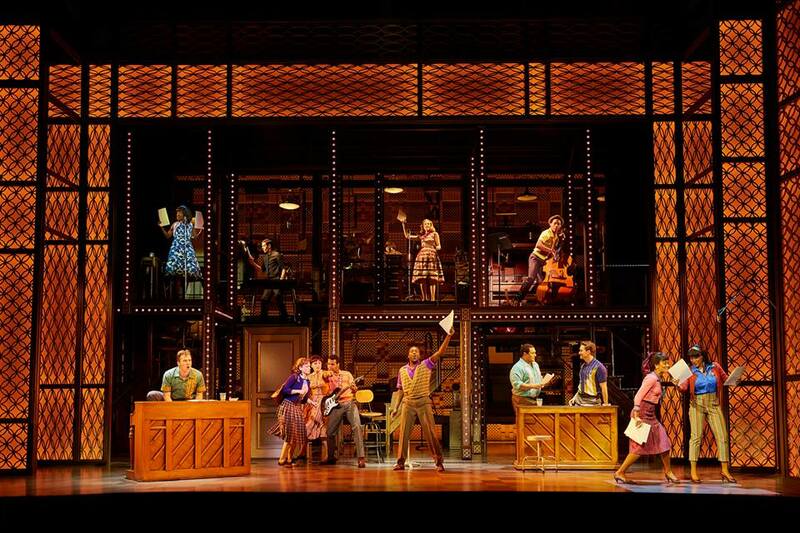 It goes without saying that ‘Beautiful The Carole King Musical’ is a must see for fans of Carole King. But if you wish to go to the theatre and experience the sheer joy of seeing fine music and drama performed live onstage, by a talented cast, and presented in such a way that the entire audience walks out onto the street with a smile as wide as The Strand…. this show is for you. I loved it! And a movie version of the play is planned by Sony Pictures. “Audiences both on Broadway and in the West End have responded to ‘Beautiful’ not only to relive Carole King’s timeless classics, but to experience the ways they illustrate her triumphant and joyful life story,” Michael De Luca, a senior Sony movie executive, said in a statement. This entry was posted on March 25, 2015 by johnbowles88 in Uncategorized and tagged Aldwych Theatre, Barry Mann, Beautiful The Carole King Musical, Carole King, Cynthia Weil, Gerry Goffin, sony pictures, West End.